The company Del Prete Legnami S.r.l. 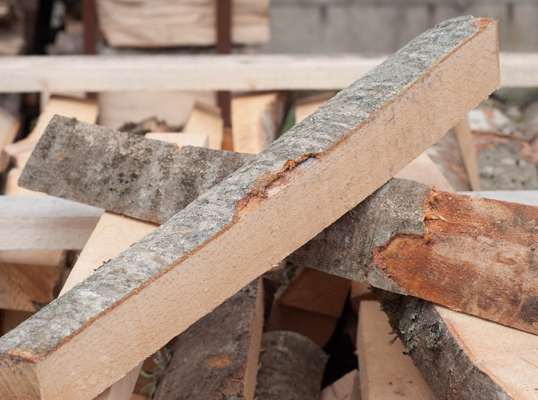 is specialized in cutting and distributing firewood. 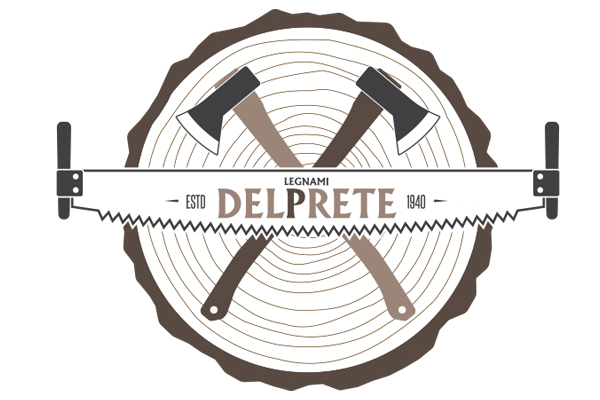 Thanks to the experience passed on for 3 generations, the quality of the material, the excellent know-how in cutting and seasoning of wood and timber the company Del Prete Legnami is the favorite supplier of the most important pizzerias all over Italy. In 1940 Mr. Vincenzo Del Prete, the grandfather of the current company owner started to trade with wood and timber transporting it with a cart from Frattamaggiore to the dockyards in Naples. 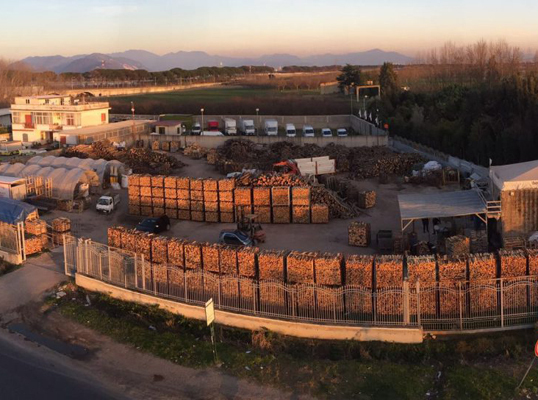 In 2010 the younger generation of the Del Prete family, Enzo and Francesco, took over the family activity balancing the family's trade experience with the new technologies and specializing themselves in supplying firewood to catering businesses. Among the most popular oak varieties there are sessile oak, holm oak and turkey oak. Oak is very precious and a solid material, it's compact and heavy and it has a high heating value. It burns slowly and for a long time and it maintains the flame in the fireplace producing long lasting embers. Oak is an excellent fuel for heating and it's appreciated for cooking. A beech is a tree that can grow up to 30 meters and it grows on mountains. Its wood is very solid and uniform in its structure. It's quite heavy and it has a good heating value. Beech wood burns with a vivid flame and it's long lasting. It is a very good firewood for heating and cooking. Upon request we may provide for different varieties such as blue-beech, alder and olive wood. Split firewood has an irregular form and is a kind of exhausted. It can be easier to light, but it doesn't burn in a regular way. This cut is most of all used for fireplaces and it's used for some kind of ovens. This cut is available for all kind of wood we treat. As sawn firewood has a regular form and as it is more solid it lights and burns in a more regular way than split firewood. Many users like this kind of cut most, because it makes them manage the ovens in a better way. Moreover it can be stocked in order and it needs less stocking place. This characteristics make sawn firewood the best choice for pizza makers. 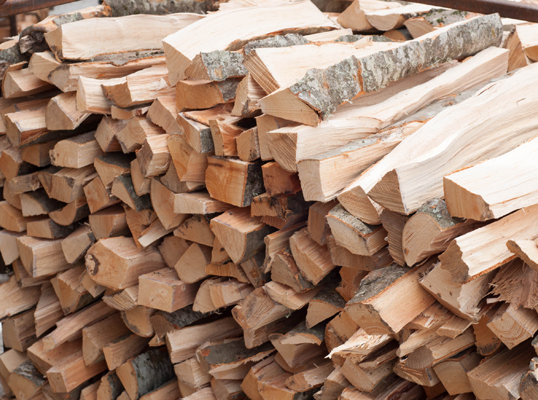 Sawn firewood is available in beech wood and oak wood. Regular sawn beech wood batons without bark. This wood is the best choice for ovens because of it's low smoke production. Available in practical cardboard boxes of 220 square centimeters.